What if it were this simple? Without one, we’d be . . . well, dead. A good brain takes us far, a damaged one is a precursor for heartache. 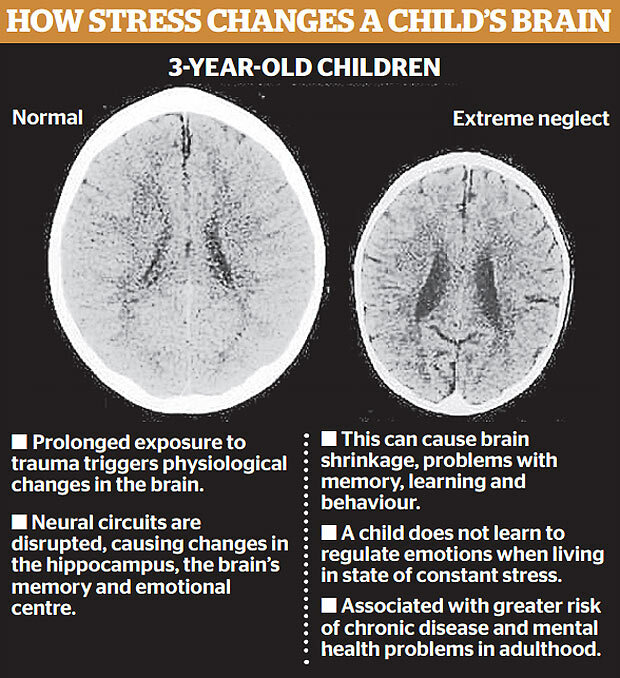 Take a look at what happens to a child’s brain when the child experiences a life of neglect. Hippocampus – the part of the brain responsible for memory and emotional control – shrinks, which in turn can trigger learning and behavioural problems, difficulty with impulse control and a heightened sense of rage and self-loathing. 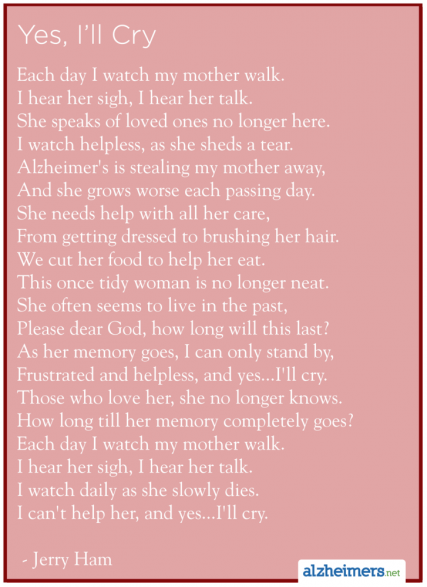 Is it just me or does that sound like someone with Alzheimer’s? 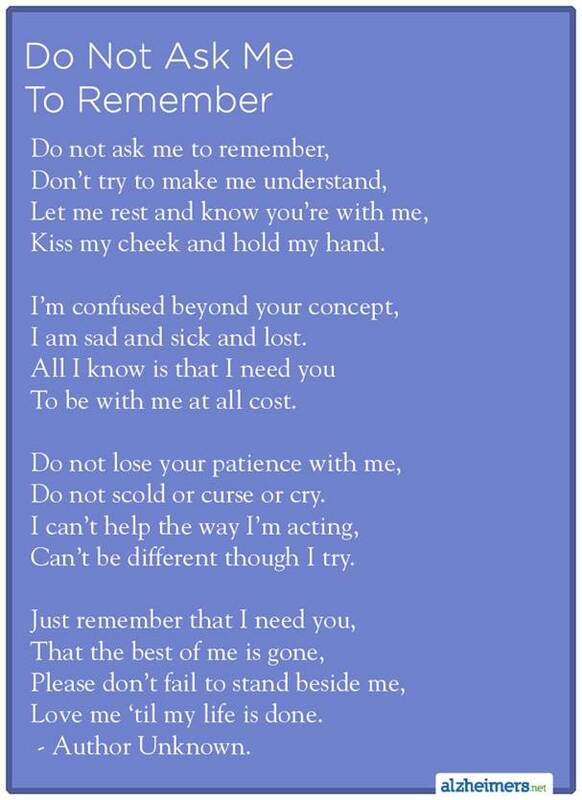 Here’s a pic of a “normal” brain vs. someone with Alzheimer’s. I’m not a doctor or a scientist and I don’t know all the fancy terms, but, what if the entire genesis of Dementia is at the genesis of a person’s life? 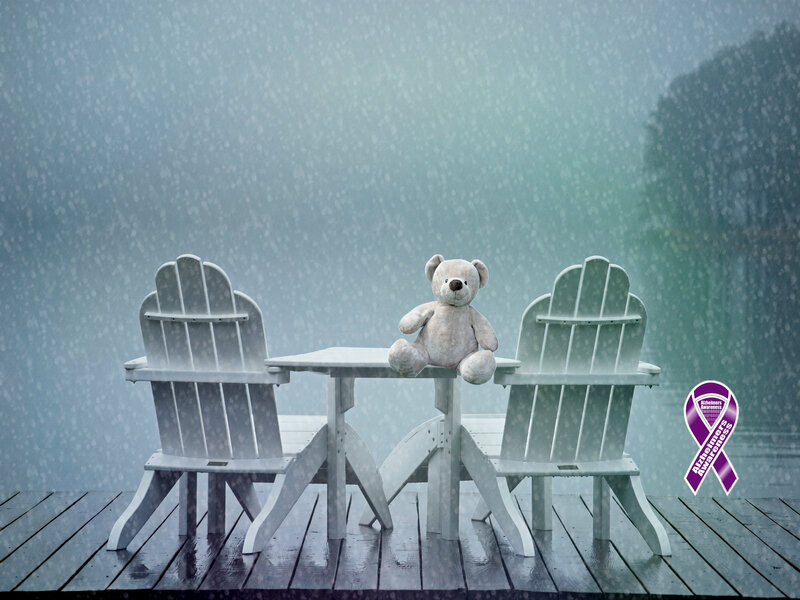 What if a lack of affection, nurturing, hugging, or a series of extreme traumatic events early in life sets the stage for dementia? It’s been documented that the quality of our parents’ nutrition, both the mom and the dad, prior to conception shapes our brains and overall health. I was reading that even the health of our grandparents shape our physical and emotional health. So, I was just thinking . . .
What if the genes that we need to maintain a normally healthy brain throughout life become defective as a result of lack of love, not to the degree of the child in the above photo, but perhaps we experience a slow leak of love and a diminished sense of value that changes our brains and this change buffers our brain from the good brain fertilizer, whatever that may be? Thus, the “seed” of dementia implants in the bad fertilizer–forging a dormant proclivity for the premature death of neurons and setting up the chaos of tao and proteins and plaques of dementia that slowly grows over time, ripening as we age. Or maybe this early onset “bad seed” thwarts the continuing nourishment of a healthy brain. Could it be as simple as human hugs and feelings of being cherish early in life? That’s a fancy way of saying, I just might be wrong even though I’d like to think that early onset hugging could prevent the impending damage of dementia. All those endorphins and fuzzy feelings from sincere hugs and cozy cuddling must be good for something. Go hug a scientist today. Next postIs this Grandma’s fault? Right. It can’t hurt. Interesting article – thanks. Wow – I never knew brain shrinkage was that extreme! Interesting article, thanks!